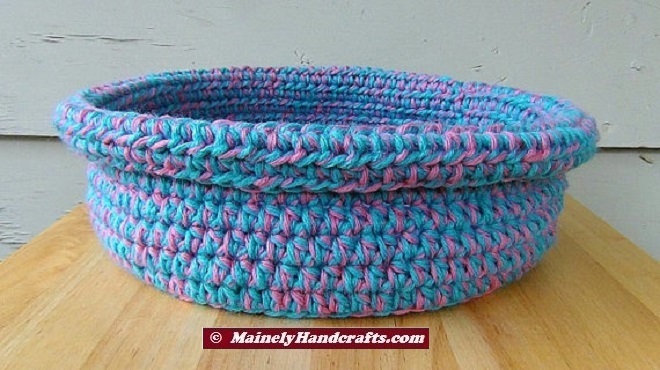 Have fun seeing how many uses you find for this lovely crocheted rolled brim basket. 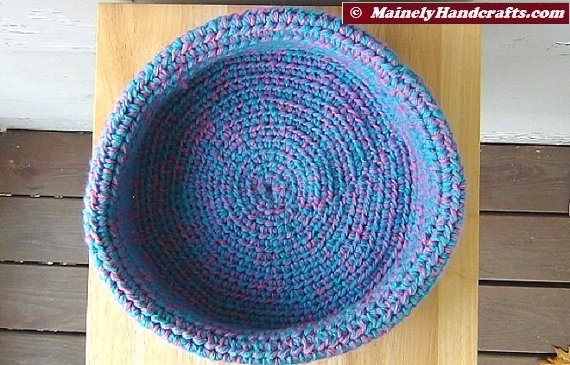 This item is now available at our Etsy Shop. Use as a cat/kitten/puppy bed. 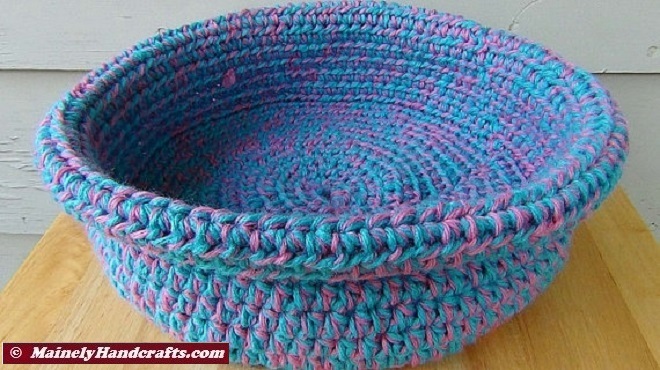 Place in the bathroom to hold things like cotton balls or decorative soaps. Have it be a catch-all for items like keys and cell phones. 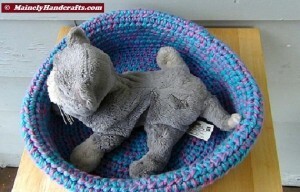 Use as casserole cozies. Crocheted with rolled brim, using a 2 strand method of Cotton Candy Blue and Cotton Candy Pink. 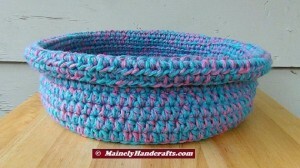 Large basket has 9″ bottom and is approximately 2 1/2″ high with rolled brim, 4″ with brim unrolled. 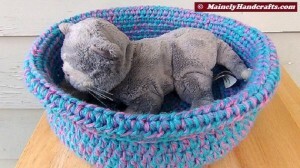 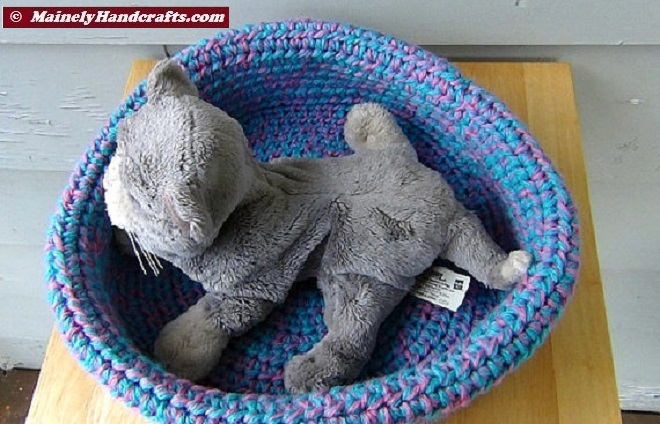 Kitten is not included and is a Furr-Real mechanical toy – no real animals came into contact with basket.